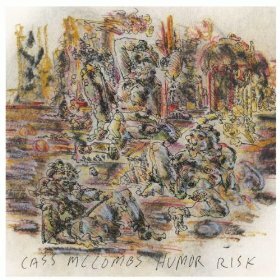 Few musicians manage to put out albums in consecutive years, but with Humor Risk, Cass McCombs has released his second record of 2011. There isn’t a real overarching sound that unites the songs; instead, it feels like a collection that demonstrates how a capable singer/songwriter can stretch his creative wings and embody whatever genre he pleases. “Love Thine Enemy” is an upbeat message of altruism, making kindness seem cool somehow. Immediately following is “The Living Word,” which is much more of a slow acoustic jam. “The Same Thing” is Western-tinged, but a stamping drumbeat keeps the tone upbeat. Cass McCombs is an artist who best suits those who appreciate acoustic musicians paving their own way. He’s not flashy or gaudy. Instead his songs are unpolished fragments, bits of stone that catch the light and reveal their inner jewels without much help.